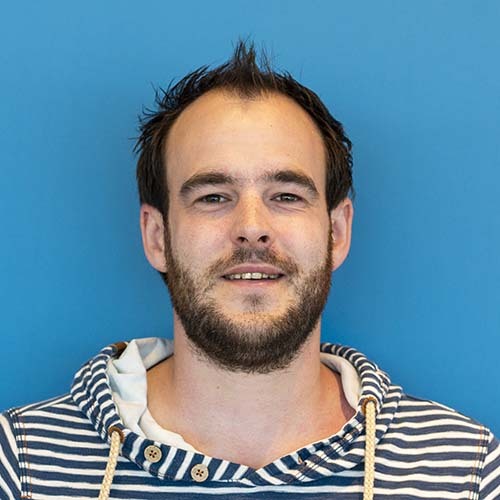 In this blog we describe how support service teams can work with their end users but also communicate with external parties without sharing that information with the end users. 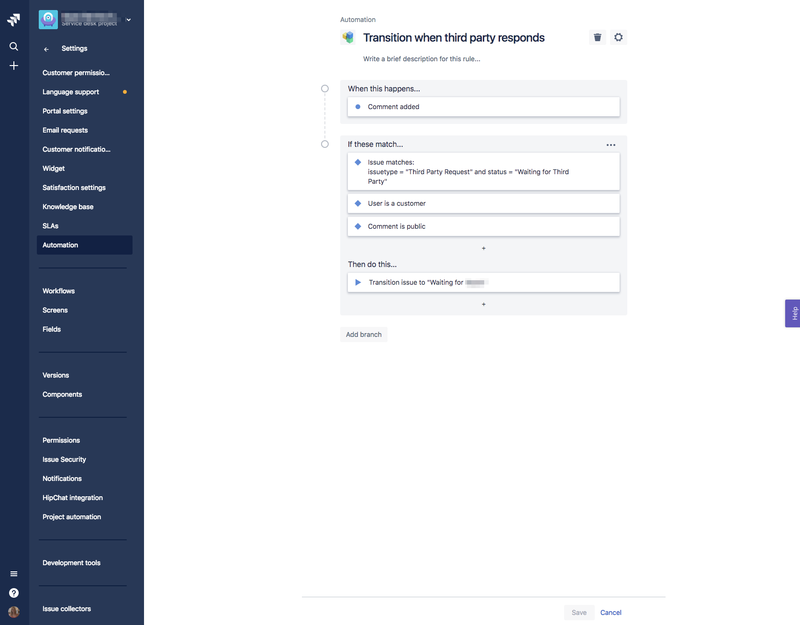 We've defined the following workflow, in which we can keep our end users updated of the actual status of an issue. 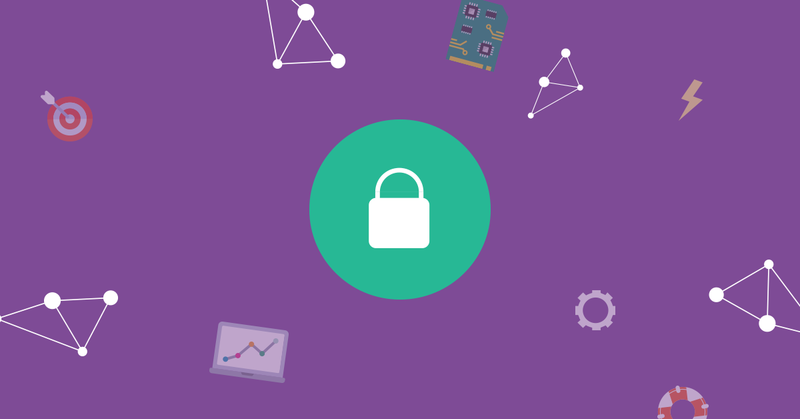 In this tutorial we'll only focus on the working with external parties part. 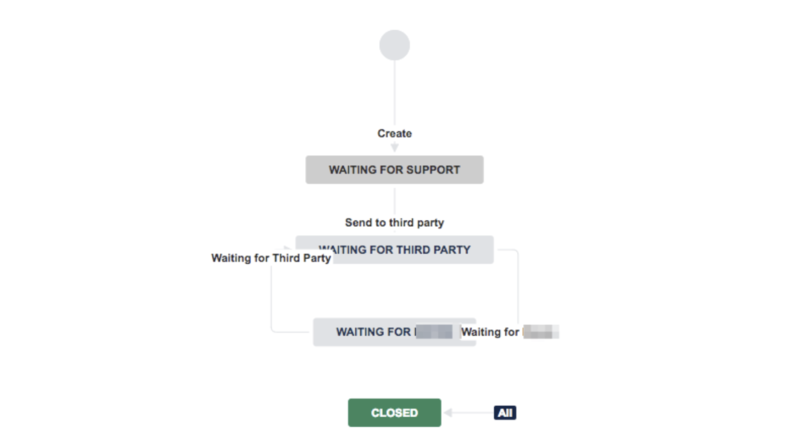 What happens next is that a linked issue has been created using a different issue type and process. We'll elaborate on the configuration itself later in this blog. In this issue the first step is to actually send it to the external vendor. Using a transition here allows us to fill in an organization and change the reporter. In this case, the organization should match the vendor and the reporter our main contact at this vendor. 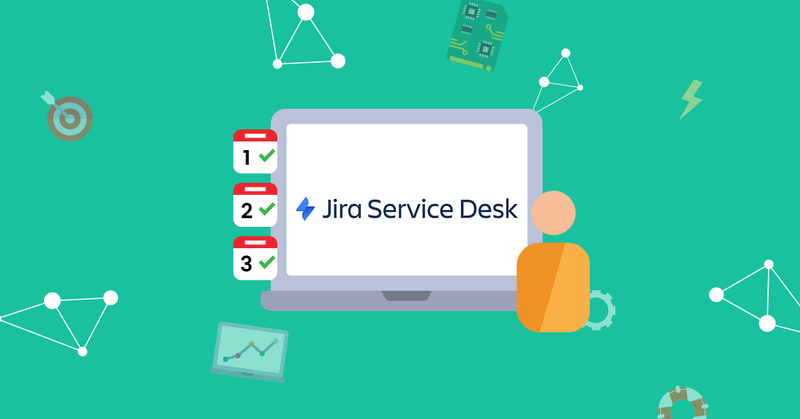 Want to keep track of vendor management in Jira? 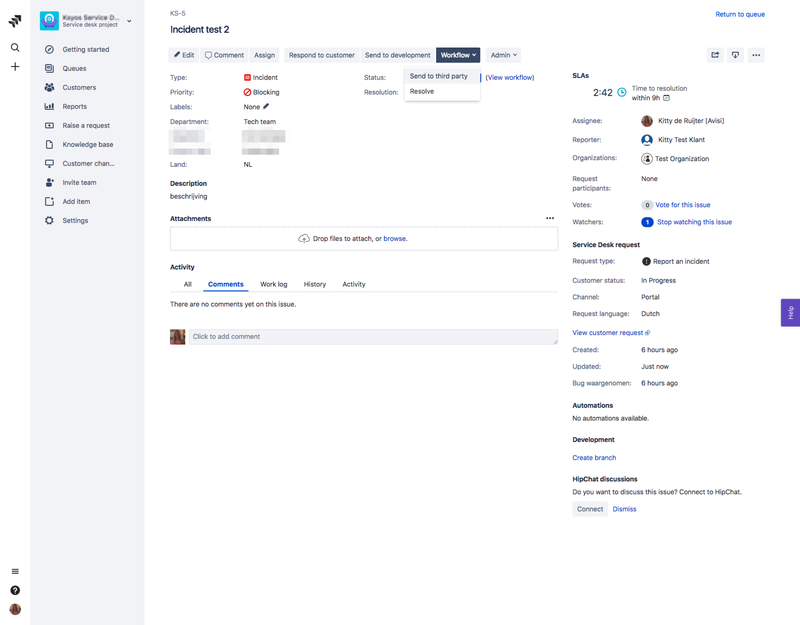 Check outInsight - Asset management for Jira or work with nFeed if you already have this information available in a source elsewhere. Our external vendor will receive an e-mail notification that a new issue is created. On a reply the issue automatically moves to the status Waiting for us. 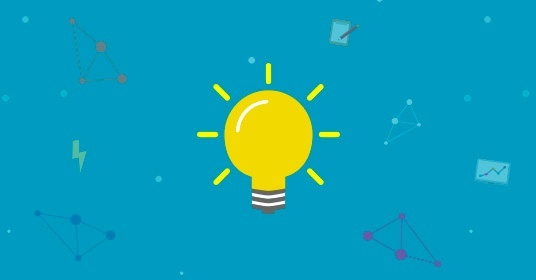 When the issue has been resolved, the linked issue originally created by our end user will receive a status update that we can move forward. 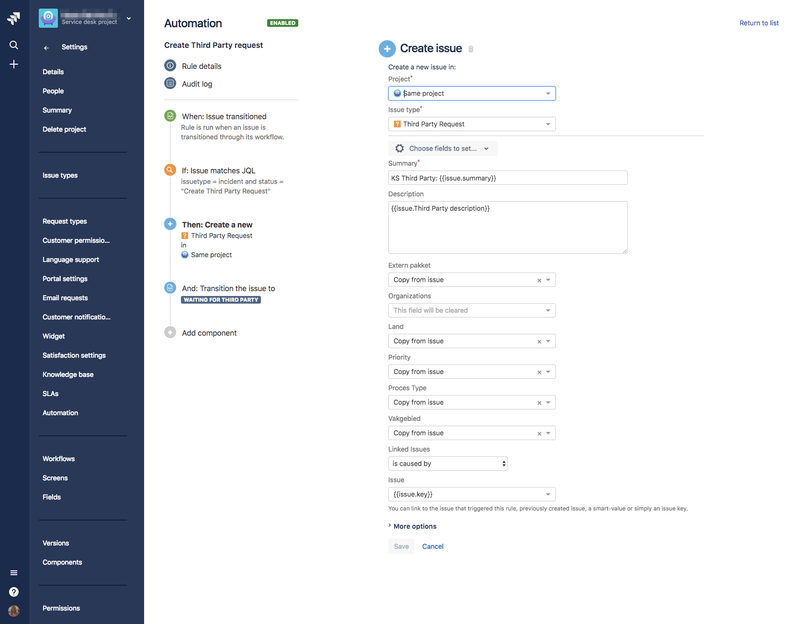 We've set this up in Atlassian Cloud and make use of the app Automation for Jira to automatically create a linked issue and filling this with the information we want to share. 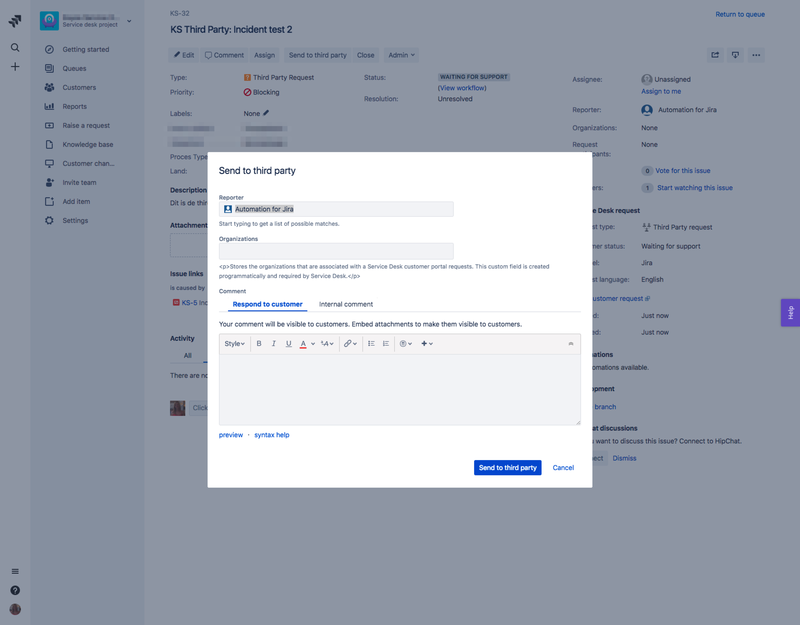 Below we can see the configuration that when an issue enters the statusCreate Third Party Request a linked issue will be created. 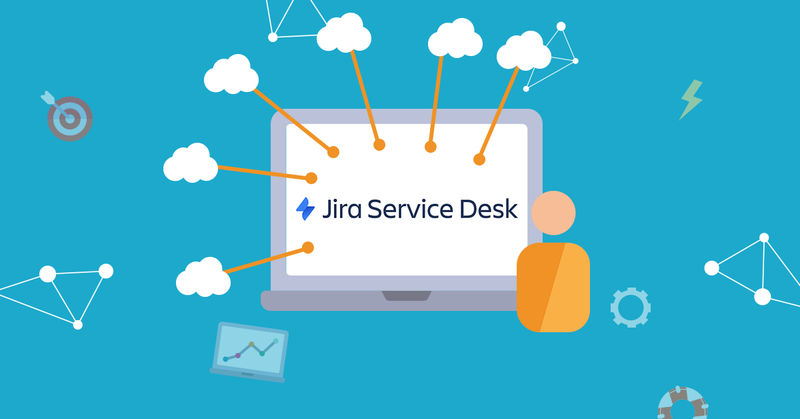 Using default Jira Service Desk Automation Rules we're updating the status of an issue when the vendor responds. We're using a similar rule to update the linked issue when this issue has been resolved so it ends up in the correct queue. 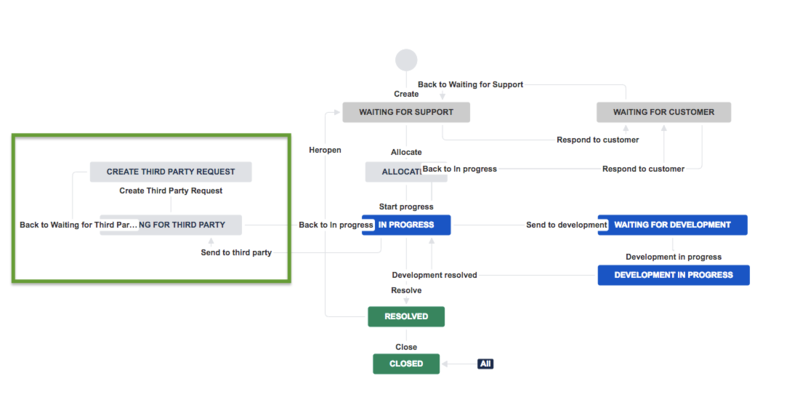 The following workflow reflects the process of a service desk agent working with an external party.